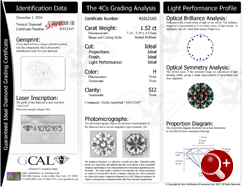 Direct Light Assessment - optical brilliance and optical symmetry. 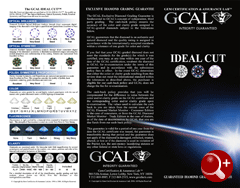 The GCAL Ideal Cut standard includes the traditional values of proportion and finish and adds a third dimension based on direct assessment optical light performance, which is perhaps one of the most useful descriptive and selling tools in today’s market. 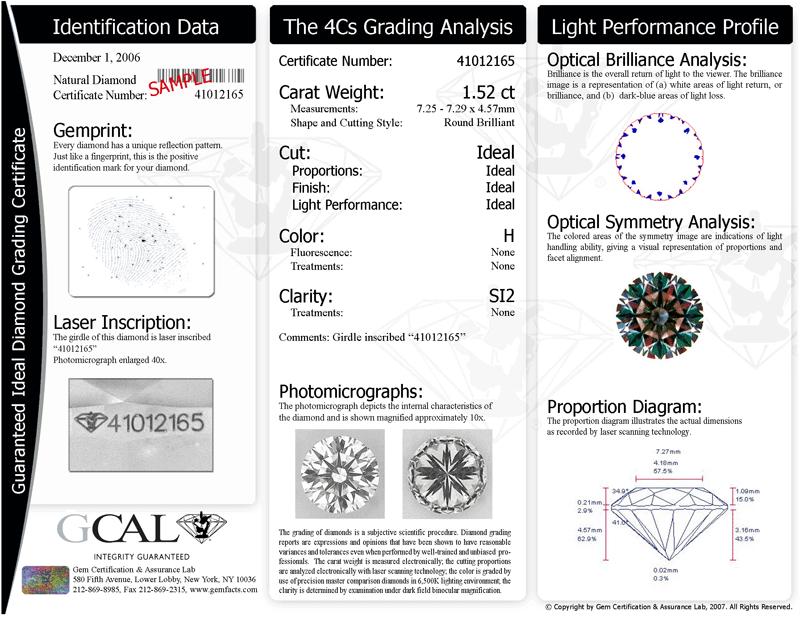 With this new certificate, GCAL is seeking to resolve the issue of the many revisions over the years to percentages and angles that have constituted the ‘theoretical’ ideal cut diamond, which changes perhaps confused the many gemologists and diamond dealers using the ‘ideal’ term, and add perhaps one of the most important analysis tools that can actually assist in selling the diamond. 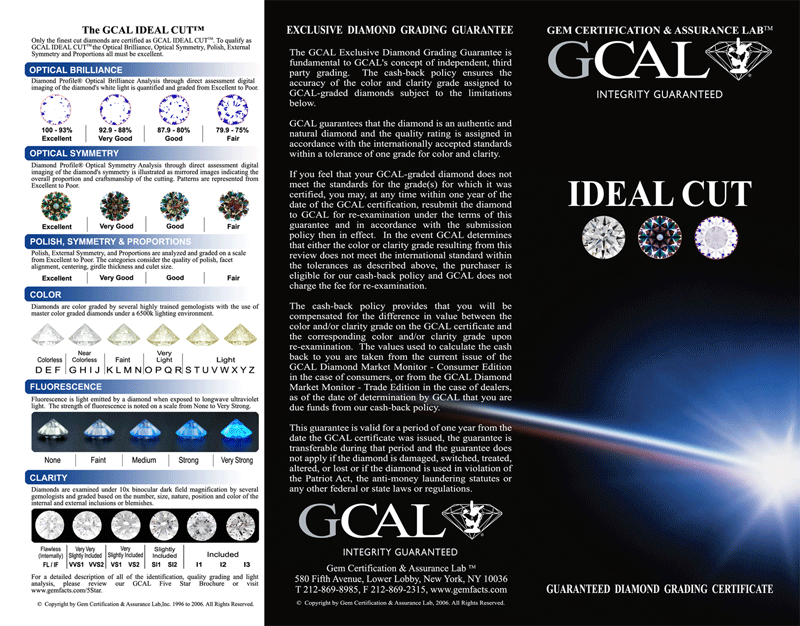 The GCAL Ideal Cut diamond certificate sets a standard for ideal cut diamonds that will generate higher confidence among buyers and sellers – as well as higher value, greater demand, and ultimately, greater sales and profits for jewelers.